Looking to become vampire over the Halloween day? 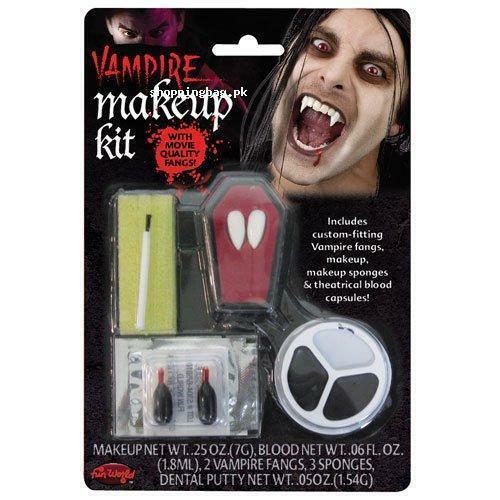 This Vampire Makeup and Fangs Kit by Fun World is design for you and now available in Pakistan for online shopping. This Vampire Makeup and Fangs Kit Included Classic Vampire Realistic Fangs, 3 Color Makeup Tray, 2 Blood Capsules, Sponge and Brush.